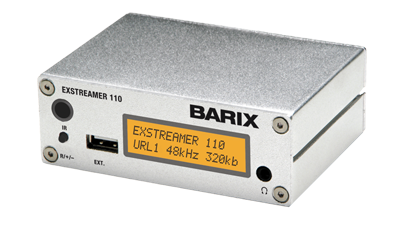 The Exstreamer 110 for Simple Paging serves as the audio decoding endpoint for the Simple Paging solution. Each endpoint can be set up to receive an area wide page, or can be put into different zones for a more area specific page. 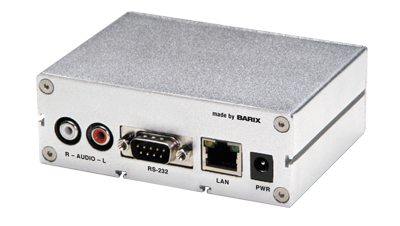 It features a stereo line-level output, headphone connection, low power consumption and a relay output that can be used to activate amplifiers. An LCD display can show title information and aid with device setup.